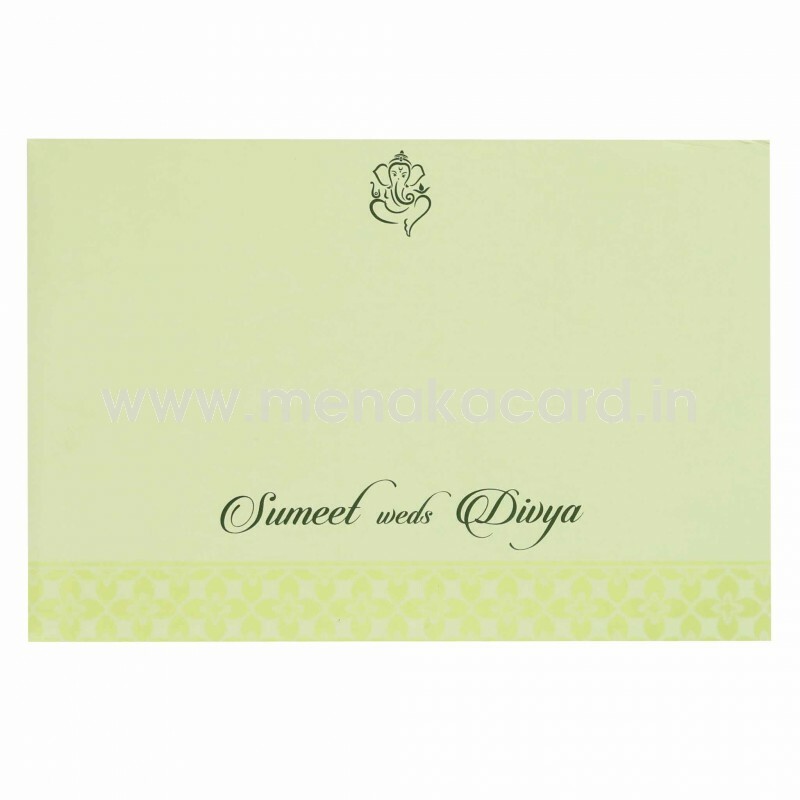 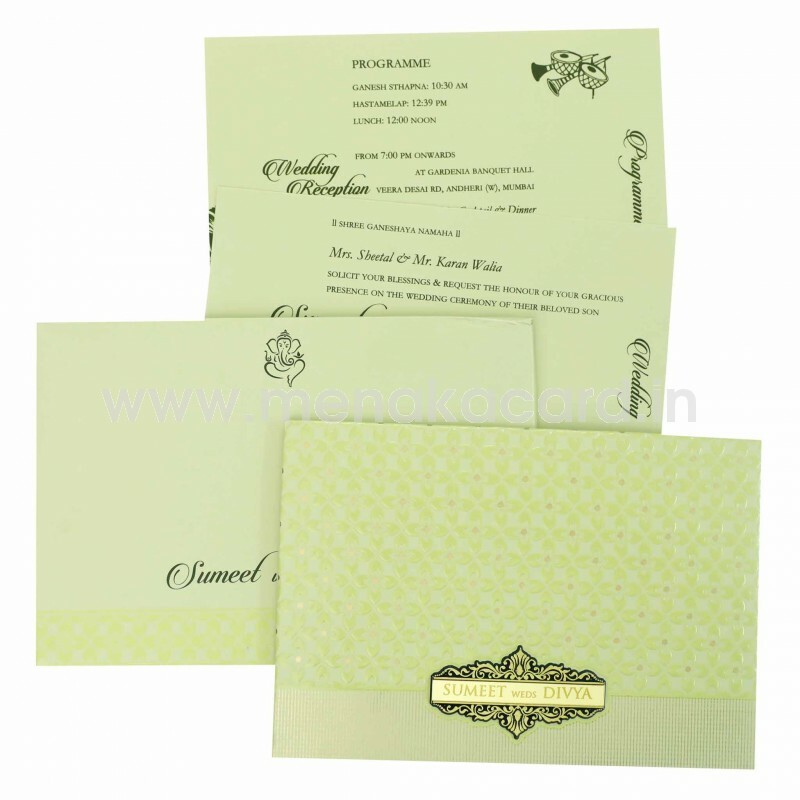 This resplendent light green and gold padded card has a luxurious floral gold-centred patterns embossed facade with a striped border on the front face of the card. 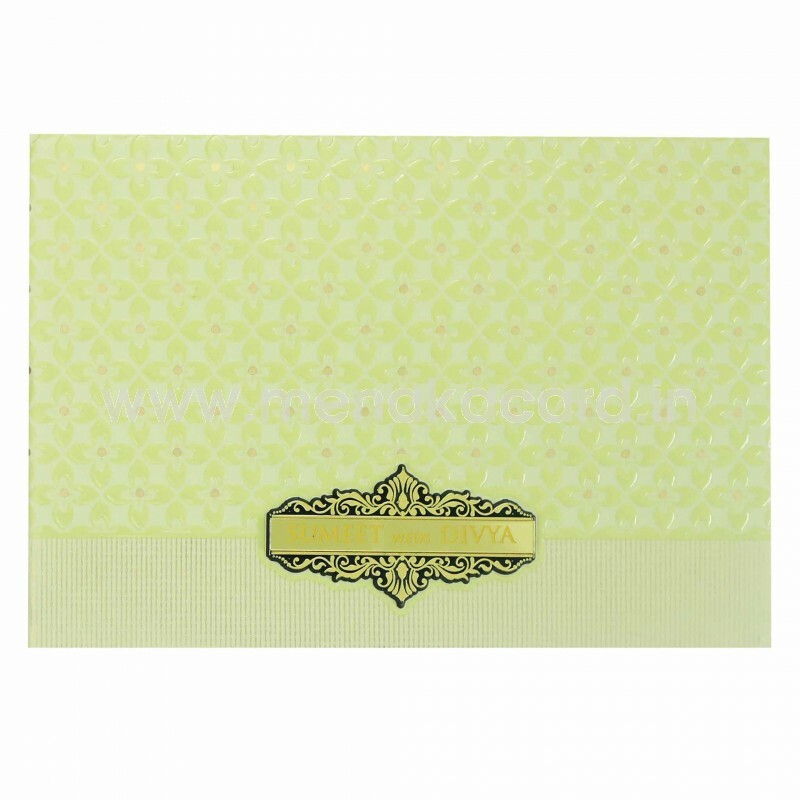 The ornate frame sticker in gold acts as a name holder for the couple. 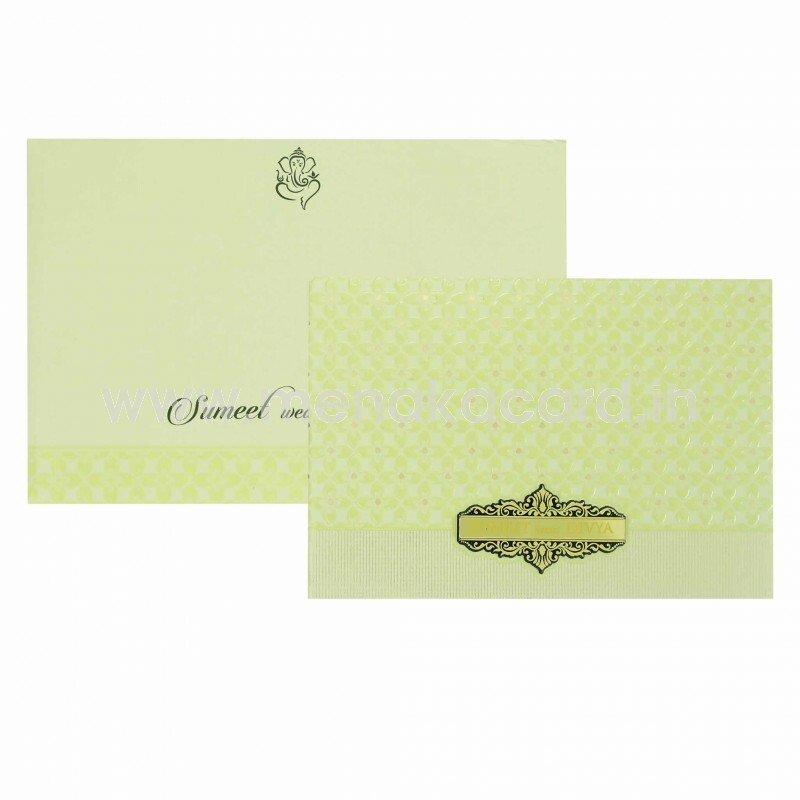 The inside of the card opens to reveal a small scalloped card holder containing two inserts in the same shimmer board material as the main card with brown ink content. This card can be used for Hindu, Christian and Muslim weddings and can also be used as personal invitations for friends and colleagues.